Over the past several months many people have asked “Why are you growing lavender?” I’ve finally formulated a response: Serenity. Some plants can grab your attention while you are pursuing in a greenhouse or garden center, and some just gently pull you in, affecting all 5 senses. Lavender is one plant I have always been drawn to – seeing the soft green grey foliage, feeling the velvet like leaves, the fresh scent as you brush by it, hearing the bee’s busy in the blossoms, tasting the sweet gentle flavor in my tea or lemonade….ahhhh, lovely lavandula. Then of course there is the gardening logic of lavender’s tolerance for heat and drought conditions. Living on a rural 1.5 acre parcel I have plenty of dirt to play in. Mix that with a patient, hard-working husband that is always happy to get out the rototiller and stir up a new spot for more flowers or veggies, and we have the perfect recipe to grow stuff. Bob grew up on a farm so anything that has an engine and moves dirt makes him happy. I grew up in the country missing the farm life my siblings enjoyed but never getting away from the practical farm applications both of my parents taught me. I was easily entertained with dirt and water, the perfect ingredients for a mud pie or two. Little flower gardens here and there, nice raised beds for the kitchen garden, a big patch for potato, onions and pumpkins and still my dear husband tolerated another of my wild ideas. But this time the use of the John Deere 1950 B tractor (he restored) and the old 2 bottom plow (I gave him for his birthday), made him happy as a pig in mud. So after learning the history and benefits of the lavender plant I became intrigued with it. I fed my new obsession with any information I could get my hands or eyes on. 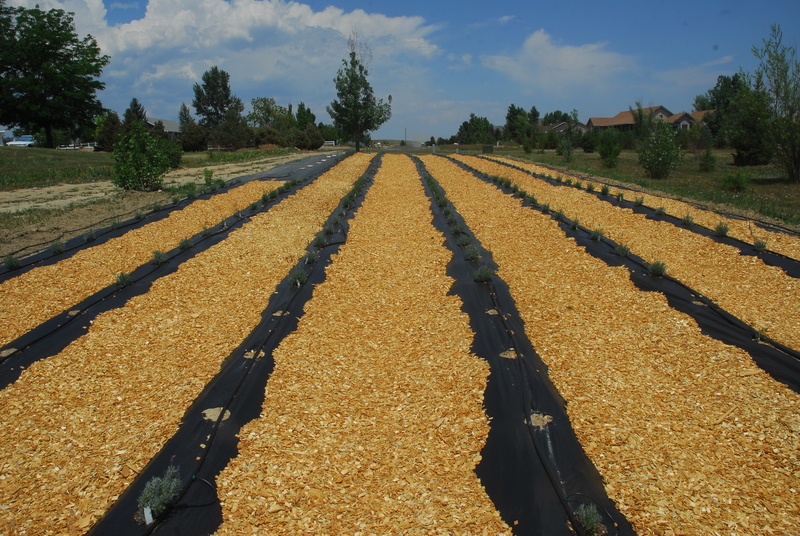 I took an online course about lavender, visited Sage Creations Organic Farm in Palisade during their U-Pick lavender (driving home 5 hours with 10 bundles of fresh lavender had me relaxed for days! 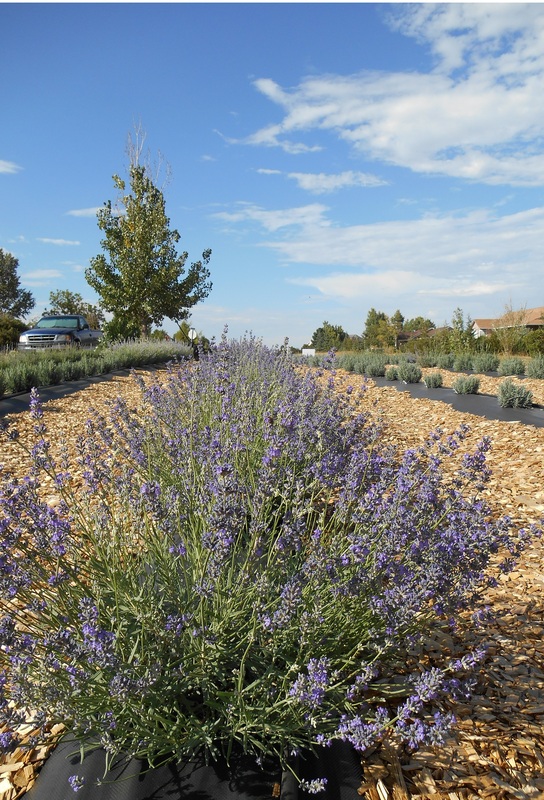 ), and then last September attended the Southwest Lavender Conference in Grand Junction, CO, hosted by the Lavender Association of Western Colorado. (Told you I am obsessed!). Now a year and 270 plants later we have a pretty little purple patch of lavender growing. 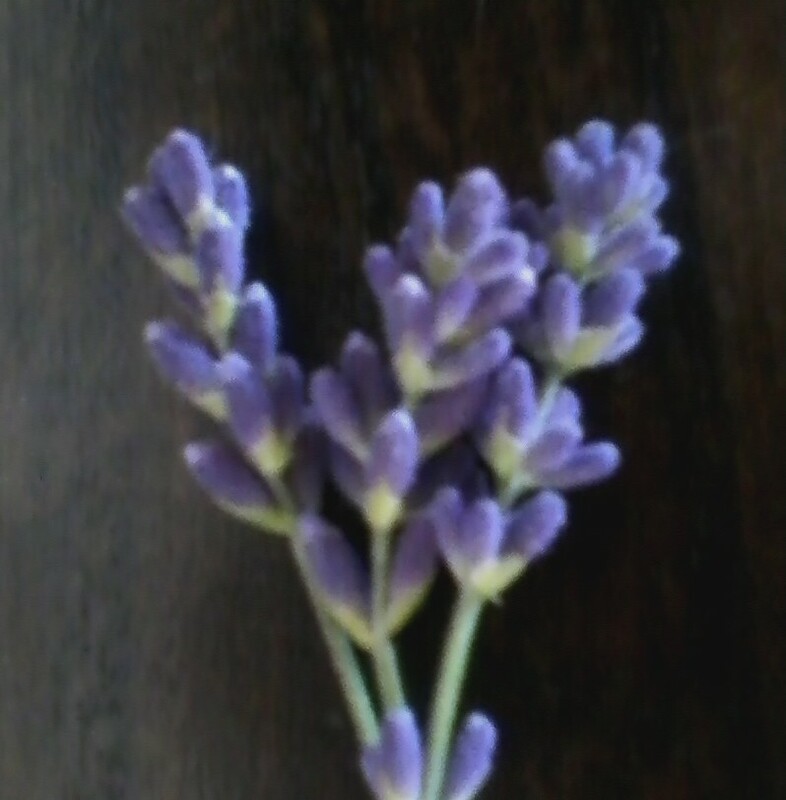 But now, back to answering the original question, “Why lavender?”. Lavender is a herb from the mint family (Lamiaceae), related also to rosemary and thyme. Lamiaceae tolerate a wide range of growing conditions, including poor soil and full sun. The history of lavender use and cultivation dates back to the Romans, more than 2,000 years ago. They used it to treat many ailments and for bathing. The English word lavender is derived from the Latin word lavare, which means ‘to wash’. Lavender has been used for centuries to relieve stress and headaches and as a bug repellent (often used in kitchens and out buildings of farms for insect control). Lavender has anti-fungal and antibacterial properties, lavender oil was used as a disinfectant on the battlefields of WWI and WWII. All the history is wonderful but the main attribute I enjoy is the fragrance and calming aromatherapy. With today’s fast paced lifestyle, constant use of technology and unending life stressors, we need a to calm our minds and bodies; that’s what lavender does for me. Be it a little bundle or a field full. The plants we planted this spring are flourishing, we are enjoying the nurturing and growing process, as well as an unexpected harvest. We look forward to next summer when we can open our field for visits and u-pick. But most of all we endeavor to share the serenity. Next Stop and Count Your Blessings!